If you’re a California worker or employer and your company is open seven days a week, you know that workers have a right to a day of rest each week. However, the point at which a worker becomes entitled to a day of rest when that worker might be scheduled to work on any day of the week could easily become confusing to employers and workers. The California Supreme Court has recently issued a decision that will have a major impact on large employees and shift workers state-wide. Previously, many employers had used a rolling seven-day period to define when a worker needed to receive a day off. Violations of the day of rest requirement could be difficult to track, since calculations needed to be done for each individual worker. The Court issued its clarifying decision in the case titled Mendoza v. Nordstrom. According to the Court’s opinion, employers get to define their work week (for example, Monday to Sunday, or Saturday to Friday), and are only required to provide one day off out of the week they define. That day could be different each week (i.e., one day the worker might get Sunday off, and could get Tuesday off the next). Workers may not be denied this day of rest, but they do have the right to forgo the day off, so long as the employer has made the worker aware of their right to take a day off. Managers and supervisors are encouraged not to pressure workers to cover shifts on their seventh day of work, and workers should insist on their right to a day off regardless of pressure from management. Part-time workers are potentially the most affected by this rule. If a worker is consistently scheduled for shifts lasting six hours or less, that worker can be scheduled to work seven days straight. If any of the worker’s shifts last over six hours, however, then the worker will be entitled to a day of rest. 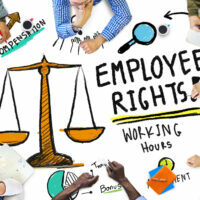 If you’re a California employee who has been the victim of violations of your rights, or an employer who would like assistance remaining compliant with the constantly shifting California employment laws, contact the seasoned and dedicated Bay Area labor and employment attorneys Rand Stephens & Richard Koss. From the San Francisco Peninsula, contact Richard Koss at 650-722-7046, and in the East Bay, contact Rand Stephens at 925-757-1700.